Nurse practitioners (NPs) in Connecticut have a lot to be grateful for. Recently, the House passed the Senate’s proposal to allow nurse practitioners to practice independently without a doctor’s supervision and without limitations on their ability to prescribe medications even Schedule I and II narcotics. Furthermore, Connecticut nurse practitioners are some of the highest paid practitioners in the country, commanding salaries of $98,000 to $145,000 per year. Also, to be eligible to prescribe medication, the student in the master’s degree program must complete 30 hours of pharmacology during their course of study for the APRN. Then, the student must pass both their National Certification Exam and the test for their specialty as an NP, a Nurse Anesthesiologist or a Clinical Nurse Specialist. All that’s required after this is licensing and licensure renewals, which are highly important. Research shows that the key to making larger salaries lies in specialization, and as a certified NP, you can specialize in countless array of specialties. All that is required at this point is testing and licensing. 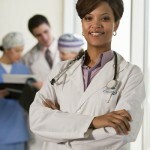 A licensed nurse practitioner can become certified in a broad practice such as immunology or emergency care. They can become licensed as an Adult, Neonatal and Pediatric Acute Care Clinical Nurse Specialist, an Advanced Oncology Certified NP, a Primary or Acute Care Pediatric NP or an Adult Psychiatric and Mental Health Clinical Nurse Specialist. There are about 15 other areas, including all the APRN specialties listed in the bullet points above. The highest paying fields for NPs in Connecticut are gerontology, family health, neonatal, psychiatric, women’s health and acute care. According to Scrubs magazine, becoming a nurse practitioner assures you one of the top 10 highest-paying nursing specialties in the nation. Although NPs can practice in Connecticut, they can only do so after a three-year collaborative relationship with a doctor. This is a small price to pay for full independency in the future. NPs can then set up their own practice if they wish, and they are able to prescribe medications and treat patients with full authority. This new bill has created thousands of jobs for NPs, as they can now fill a lack in the system that is becoming critical: the need for doctors for some 20,000 Connecticut residents who now have insurance for the first time and who desperately need the care they’ve lacked. This is a welcome change for the nurse practitioners in Connecticut and America.